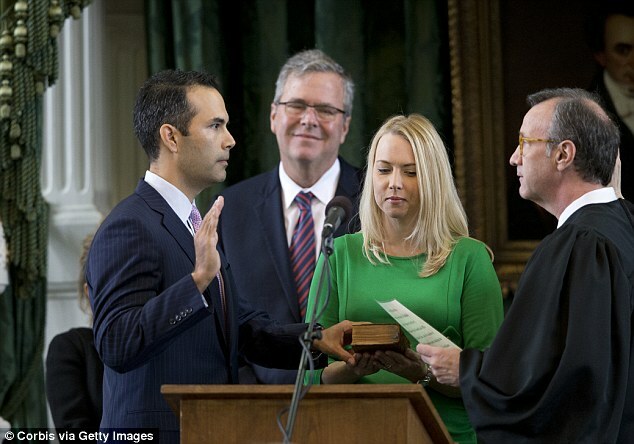 Jeb Bush’s son has broken the family line and publicly endorsed Donald Trump as the Republican nominee during an event in Texas. 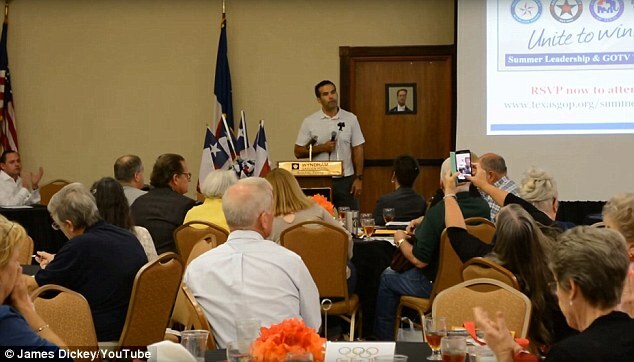 George Prescott Bush, 40, the current Land Commissioner for Texas, called on Republican voters to come together and fall in line behind Trump during a GOP event on Saturday. ‘I know a lot of us in this room had dogs in the fight in the primary, leading up to to the race, but you know what, it’s time to put that aside,’ he said, the Texas Tribune reports. Bush, as the state’s victory chairman, has the job of organizing the party’s campaign in November. He has also faced criticism for taking the role without publicly putting his support behind the candidate. 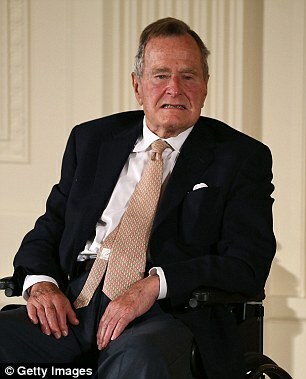 The endorsement comes after Bush’s father fought a bitter and personal battle with Trump throughout the Republican primaries. 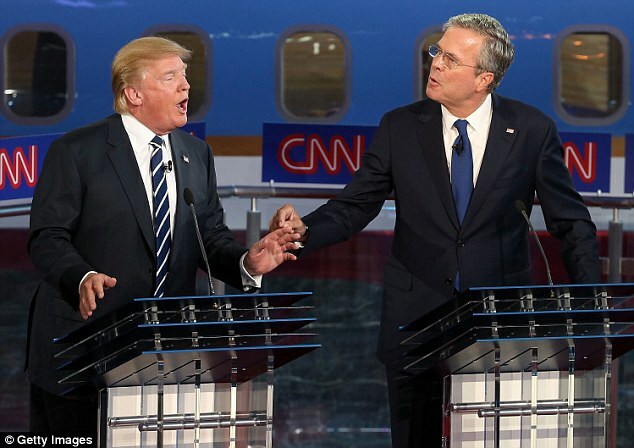 Trump called Jeb Bush ‘weak’ and ‘low energy’ during the Republican debates, and mocked his record as Florida Governor and his brother’s as President. Since being defeated in the nominee race, Jeb Bush has refused to support Trump – and has even said he will not vote for him in November. He also told said Trump’s supporters would be let down if he did win, because he would not deliver on his promises. ‘There isn’t going to be a wall built,’ Bush said in an MSNBC interview. Former presidents George W. and George HW. 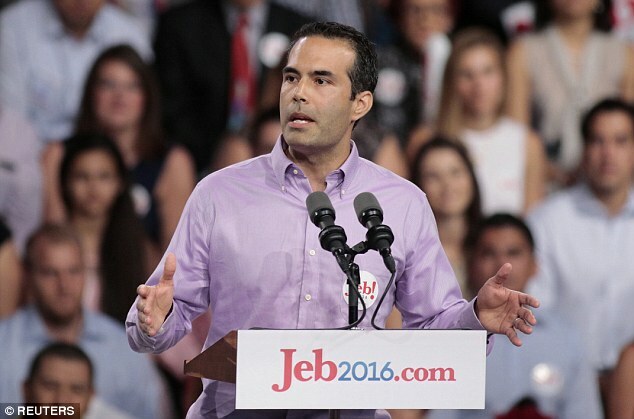 Bush have not endorsed Trump, and are not expected to do so, the Texas Tribune reports. George HW.’s refusal to publicly back Trump will be the first time since he endorsed Bob Dole in 1996 that he has not spoken up for the Republican nominee. In 1992 and 1988, he was the GOP candidate, and he was Ronald Reagan’s Vice President for two terms before that. 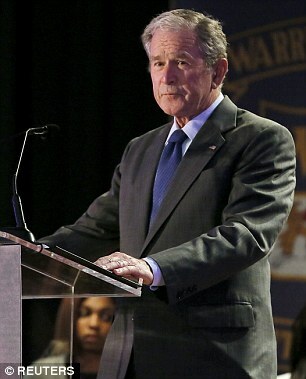 George W. did not attend the Republican National Convention last month, and he reportedly: ‘does not plan to participate in or comment on the presidential campaign’.